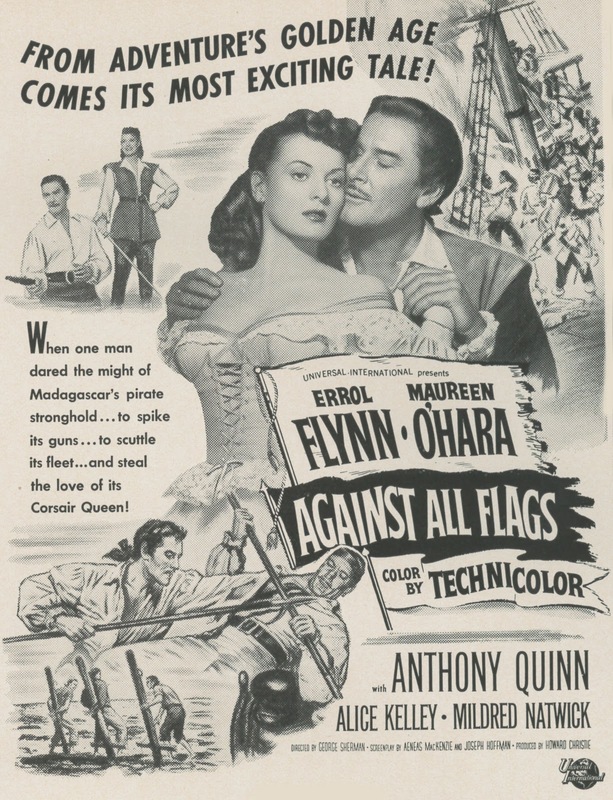 I've never seen "Against All Flags"! I'd like to---I mean, I think I would. I wonder what exactly happened to U-I, which started with high hopes of becoming a quality alternative to the Universal that preceded it, and instead sort of surrendered (after some very good initial films, and I'm thinking of Hellinger's three films, and "Letter From an Unknown Woman") to B-dom for another decade-and-change? I think that makeup in the '30s, '40s, and '50s (forward) was probably only different from that of today insofar as the desire in those years to blank out the natural complexion of a given performer and replace it with a highly-esteemed 'perfect' one, without blemishes of any kind, this in a day when even freckles were sometimes contrued as blemishes! But, I very much doubt that makeup did any damage---permanent damage---to any actor. I've never, ever heard any such conversation within the union I've belonged to for 34 years, even as gossip. I think that although it was once very popular to simply smear on 'cold cream' to quickly emulsify and remove heavier coatings of coverage, and now it isn't---though makeup removers are still used for their relative speed, even though modern makeup is lighter in texture and more thinly applied----that actors always took care to clean the stuff off, and smart ones probably washed up too. I've never bought into the idea that faces were ruined with makeup. I think the fact is that we all grow old. When we see one of the gods or goddesses of the screen do the same, something in our brains short circuits and we feel there must be some reason why they don't look as great as they did when they were young and transcendent. I think the reason is age. What they do in their spare time, that's where a lot of the real problems begin and become serious. 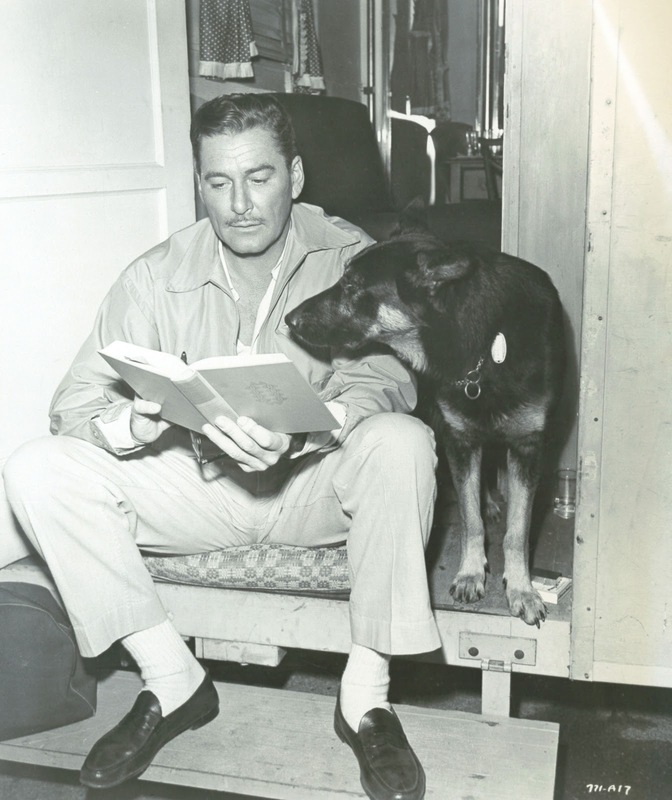 Erroll Flynn?! 'Nuff said on that subject---though I know you weren't speaking of Flynn in relation to makeup wear-and-tear. Always great columns, John. BTW, where is this new BD being marketed, in the U.K.? 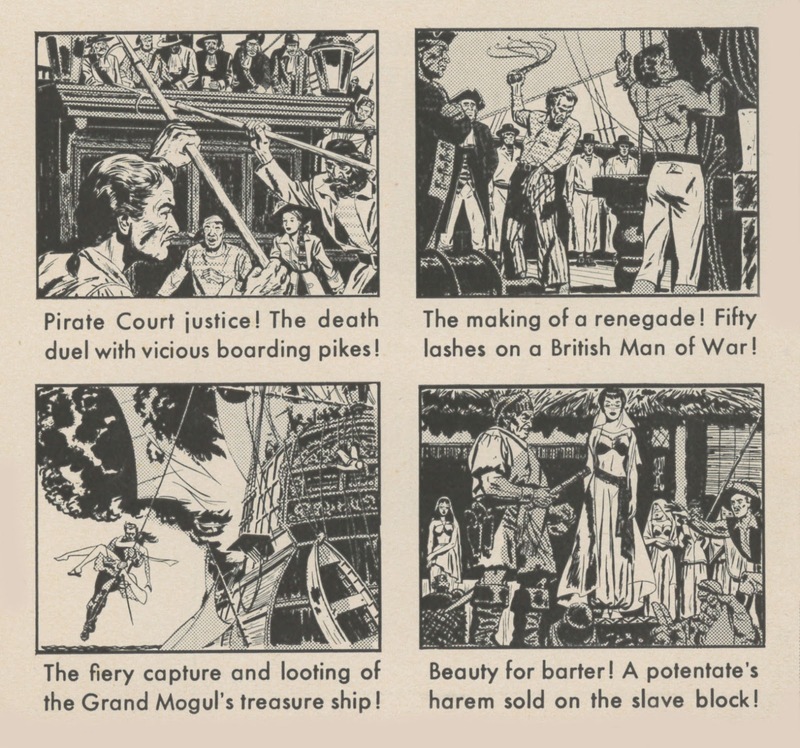 I know one company over there previously put out BDs (I don't have them, unfortuntely) of "The Black Shield of Falworth" and "Ali Baba and the 40 Thieves" (not "Arabian Nights", alas!) Did they ever put out "Cobra Woman" on BD? 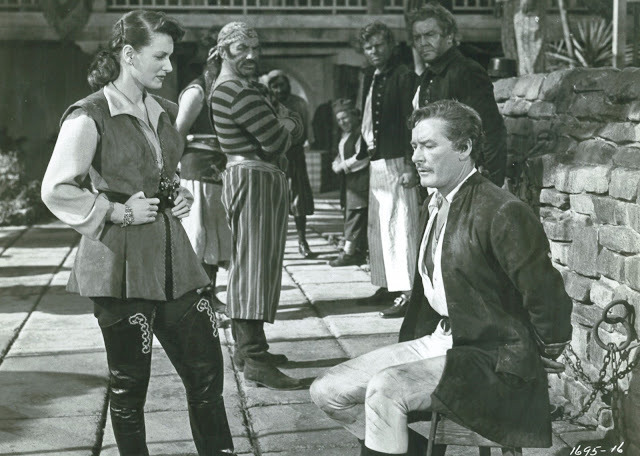 To your question about "Against All Flags," Craig, I think the Blu-Ray was from Amazon Spain ... and there isn't, so far, a "Cobra Woman" in Blu-Ray yet, at least that I'm aware of. It has been shown in HD on some of the Cinemax channels, and looks great. I have heard the story that Margaret Hamilton wound up with permanent wrinkles on her chin from the Wicked Witch of the West makeup in THE WIZARD OF OZ...as well as Buddy Ebsen's near-fatal reaction to the aluminum compound he was to wear as the Tin Man (which was reformulated by the time Jack Haley took over the role). 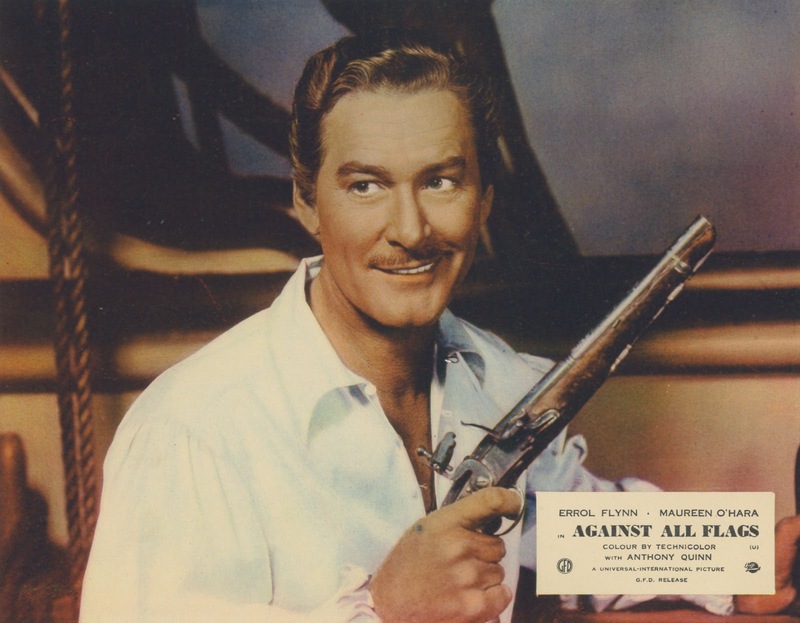 "Against All Flags" is on a Universal DVD set called "Pirates of the Golden Age" with "Buccaneer's Girl", "Yankee Buccaneer" (boredom in Technicolor), and "Double Crossbones" (Donald O'Connor sunk by a lame comedy vehicle). It's $8.02 on Amazon right now. Pretty good deal even if you skip a couple of films. If Universal didn't stint on AAF, it's probably because they saw it as an investment. Sets and model shots reappear in other films in the set (YB was evidently made just to keep the AAF sets busy during a break in filming). 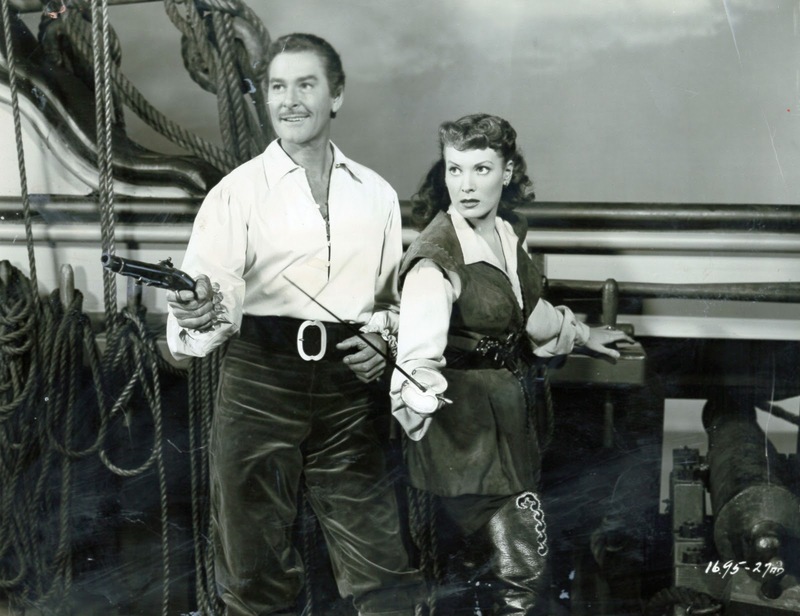 AAF was remade as very television-like "King's Pirate" in the 60's, with Doug McClure, Richard Deacon as the pirate version of Mel Cooley, and Jill St. John in very tight pants. I don't recall what actress it was who said it or where I read it even, but whoever it was, she put the blame on many performers of her generation not aging well on those beautiful, dark, healthy, glowing tans they all wanted in those days. Poor Flynn. he's a hero of mine in his weird way, I know he's this mythic hellraiser, but IMO people don't wreck themselves with quite such determination unless there's something seriously wrong somewhere. OT but does anyone know of a person who who collects Basil Rathbone letters and who might be able to help identify some unpublished ones as genuine? Second OT - I've jut opened up my own Basil Rathbone blog titled "The Baz" (massive effort of imagination on my part, you can see). The first post is about this little book I found online called "Watcher What of the Night?" that details the fraught effort to get The Heirss on Broadway in 1947. There's a marvellous little cameo of Basil and Ouida. - She was a very strange person indeed! 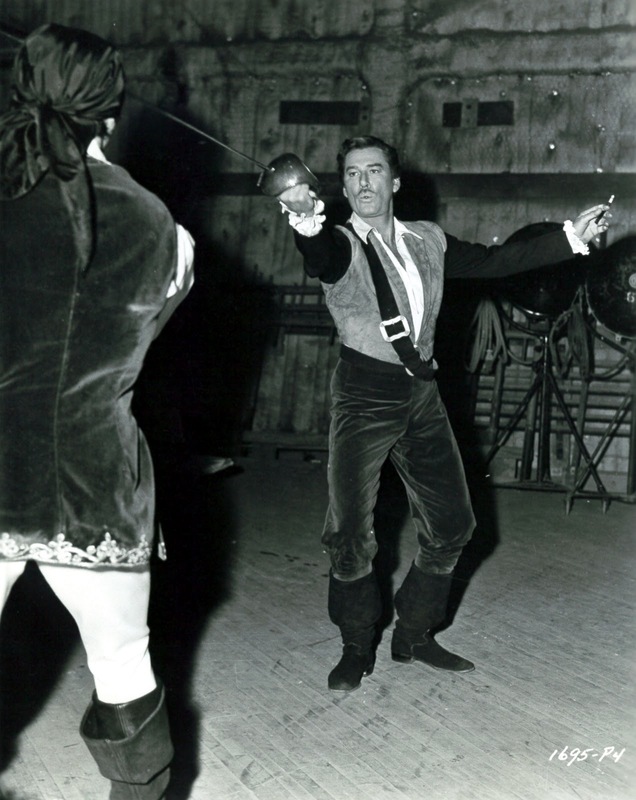 If memory serves, Flynn and Christopher Lee were filming a duel for "The Warriors" (1955)when Flynn got a little too enthusiastic with the sword and sliced open part of Lee's hand. 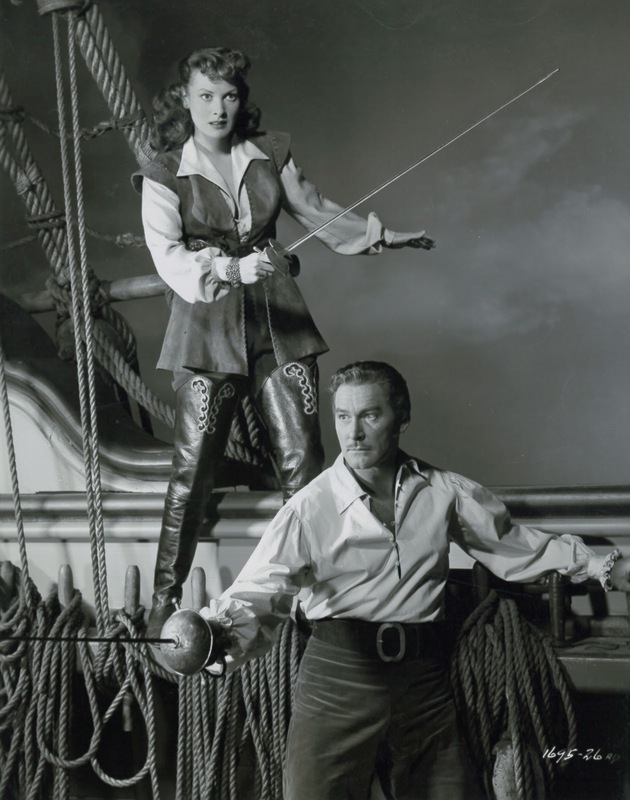 I'm a great fan of Flynn -- He was able to make anything watchable. 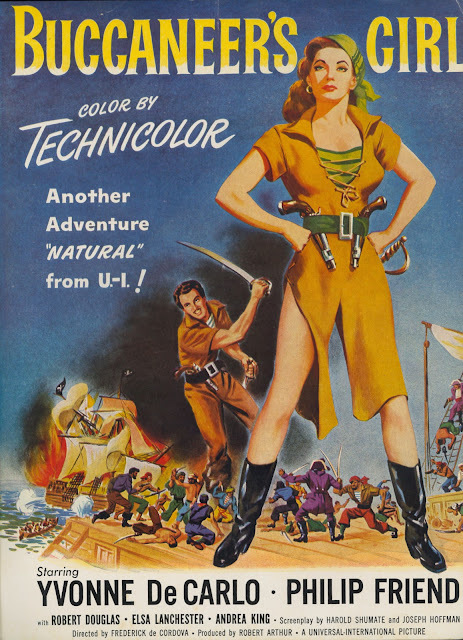 (Yes ... even Cuban Rebel Girls!) I think he's an actor who has not really gotten his due. 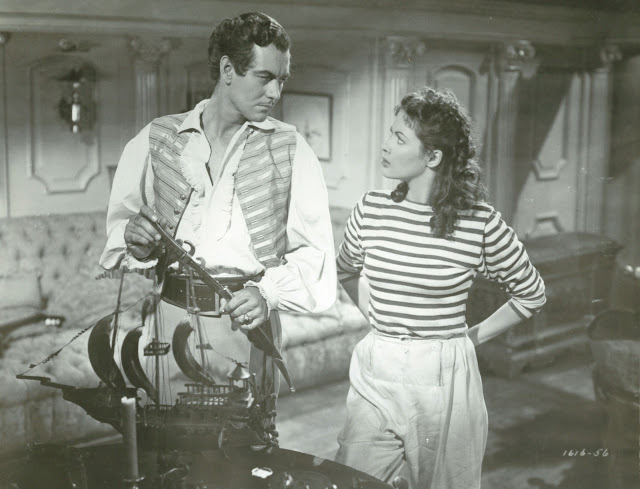 @TheGreatBaz -- as one Rathbone lover to the next, congrats on the site! Wasserman was not the first to get profit participation for a client. Agent Myron Selznick earned several of his clients either net or gross as early as the mid-1930s. Director Leo McCarey earned net profit on LOVE AFFAIR, Fredric March received net on RKO and United Artists films, Fred Astaire earned gross on RKO, and Carole Lombard earned gross participation on RKO films as well. How right you are, Mary. In fact, even Marie Dressler contracted for a percentage of "Tillie's Punctured Romance" in 1914! There's an excellent new book on this subject, "Hidden Talent," by Tom Kemper, that I'd highly recommend. 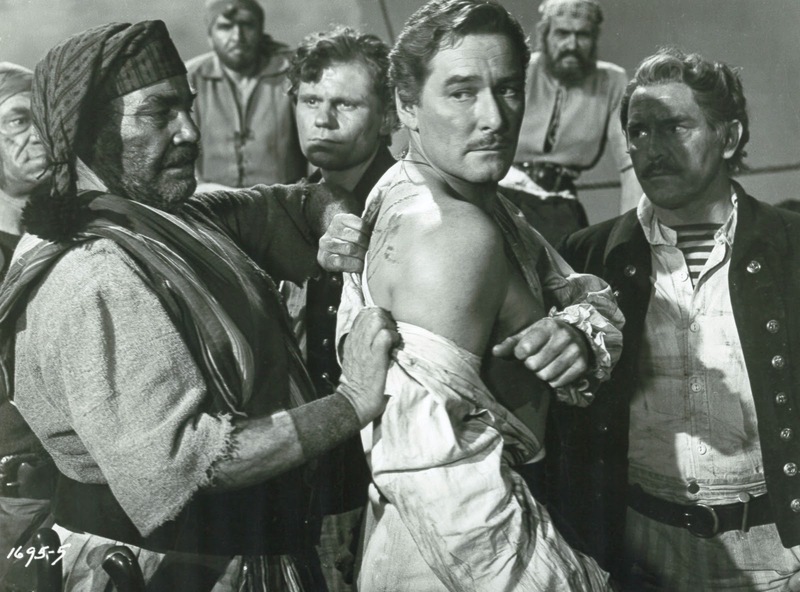 WILL U-I EVER RELEASE their OTHER Errol Flynn title, "ISTANBUL"? This WAS his real 'comeback' film to Hollywood, and NOT "THE SUN ALSO RISES"!! Nothing great here, but IT IS a romantic little gem in 'SCOPE and TECHNICOLOR, with an additional PLUS having Nat 'KING' Cole sing a couple of neat songs; While the film is no great shakes, it remains a sentimental favorite for some of us...I think the film has received a 'bad rap' through the years, perhaps because it hasn't been viewed much.. (just AMC, years ago, SCREENED IT, when Bob Dorian hosted what was then, the BEGINNING of the wide screen 'letterboxed' versions EVER shown on TV..way back when! !, or if a collector ever got so lucky as to find a print of it..!). Flynn fans will note that he only made 5 titles in 'scope! Thank you for this Flynn article, and for my recent discovery of GREENBRIER! !